Defining: What exactly is a New Year’s Resolution ? 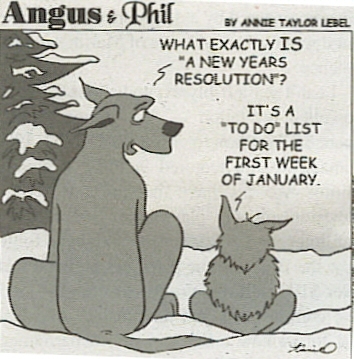 I usually start my "New Year’s resolutions" lesson with this cartoon, courtesy of Annie Taylor Lebel. 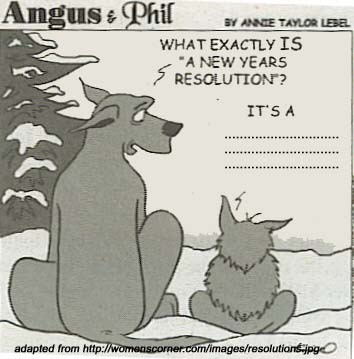 With the author’s permission, I edited the original carton to hide the answer to the question: "what exactly is a New Yaer’s resolution?" . Each student first has to come up with a definition before actually starting the activities on the worksheet. I have used these activities for a few years now, but recompiled them into a ready-to-print worksheet for those who have no internet access in class. 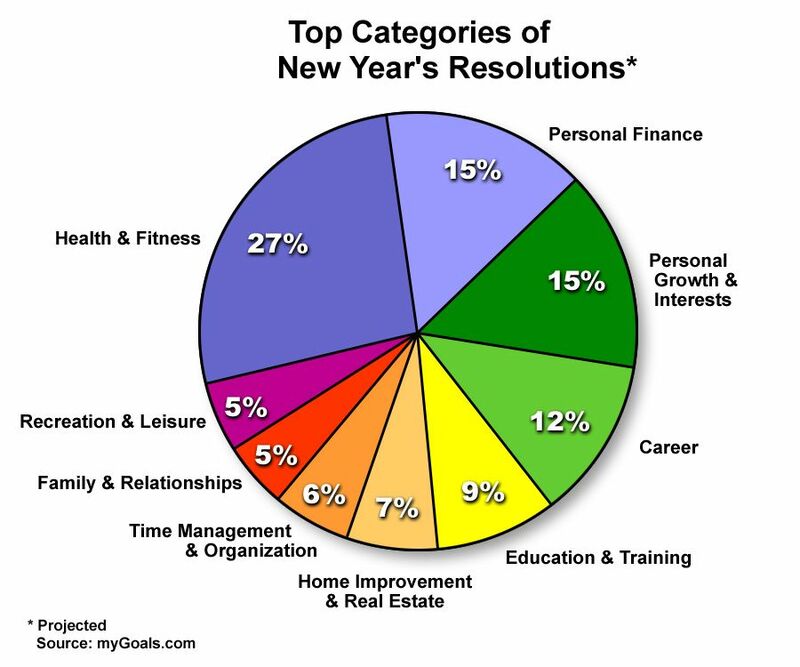 In the third and fourth activity, students read examples of resolutions and match them with a category from the pie-chart illustrating the percentage of people by category. Then students write their own sentences to reactivate previously learnt words and phrases. This activity is based on documents originally found at www.mygoals.com, but no longer available. I have edited the 2008 pie-chart version and erased the date to make the document adaptable whatever the new year. Eventually, students work on the Bridget Jones’s Diary movie poster available online here , first for pronunciation, then to submit a recording as a final task. As a continuation to this activity my students have also enjoyed a listening comprehension activity you can download from here.